One thing that sets us apart from other construction companies in Hickory, NC is that we are there through the entire process – from design concept to completion. 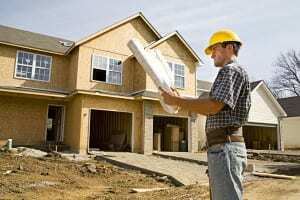 With so many construction companies in Hickory, NC, it can be a bit confusing deciding which one to use for your project. The main thing to consider is that you only want construction companies that have experience in the type of project planned. You wouldn’t go to anyone but a cardiologist if you needed open-heart surgery, so it makes sense to take the same precaution when choosing a construction contractor. We know that we are not necessarily going to be the right choice for some projects. However, we are going to be the best choice for most of them. Few construction companies have more than 50 years of combined experience like we do at Barlowe Brothers LLC. Some of the projects we know you should turn to us for are luxury home building, church building, green construction, commercial buildings and home remodeling. Another thing that sets us apart from other construction companies in Hickory is that we are there through the entire process – from design concept to completion. Whether you want something simple or grandiose, you can count on us for getting it done. Nothing is beyond the scope of our experience. Lastly, as unlimited licensed general contractors in both North and South Carolina, we can handle construction projects beyond just Hickory, NC. Whether you are here or in Mooresville, Lake Norman or somewhere else nearby, give us a call to set up a consultation. We’ll be glad to help you get started with the design of your dreams or make your already prepared designs a reality.